Sometimes it’s nice for a little public congratulations for one of our team members, Zlatan Todorić is now officially a Debian Developer (DD). Becoming a DD is proof-positive of having devotion to free software, since Debian GNU/Linux is the gold standard for a high-quality user-respecting socially-responsible universal operating system. Zlatan, while continuing to benefit Purism and its users by managing our technical team, will also be advancing Debian and its beliefs, which we are proud to say is a win-win for the world as a whole. 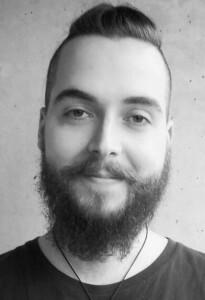 We are excited and honored to associate ourselves with talented developers such as Zlatan Todorić. For more information about becoming a DD yourself head on over to https://wiki.debian.org/DebianDeveloper. Note: Purism’s own PureOS is a fork of Debian GNU/Linux designed specifically to run on Librem hardware with software additions and changes that meets FSF endorsement criteria and protects users’ rights to privacy, security, and freedom by default.